IT’S NEVER TOO EARLY TO FIND YOUR DREAM CAREER! Wondering how to find the right career for you? Struggling with a college direction? Graduating college and don’t know what’s next? Then this course is especially for YOU! During this unique 8 week interactive webinar course, you will take a life-changing journey with Coach Michelle Raz to discover your life’s passion and career aspirations. Michelle Raz, M.Ed., BCC, is an ADHD and Career Coach who is Board Certified by the Center for Credentialing and Education. She has over 2,500 hours of coaching experience, and has been a member of the Edge Foundation coaching team since 2010. Michelle has a certificate as a Career Services Specialist from Wilma Fellman, career counseling expert, trainer and author of Finding a Career That Works for You. She also earned a Certificate of Advanced Coaching Skills Practicum from world-renown ADHD coaching expert Jodi Sleeper-Triplett. WHY WAIT – FIND YOUR PASSION IN LIFE TODAY! Have questions? 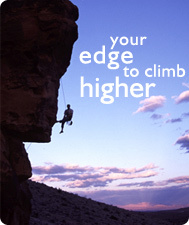 Contact Denise at Edge Foundation. 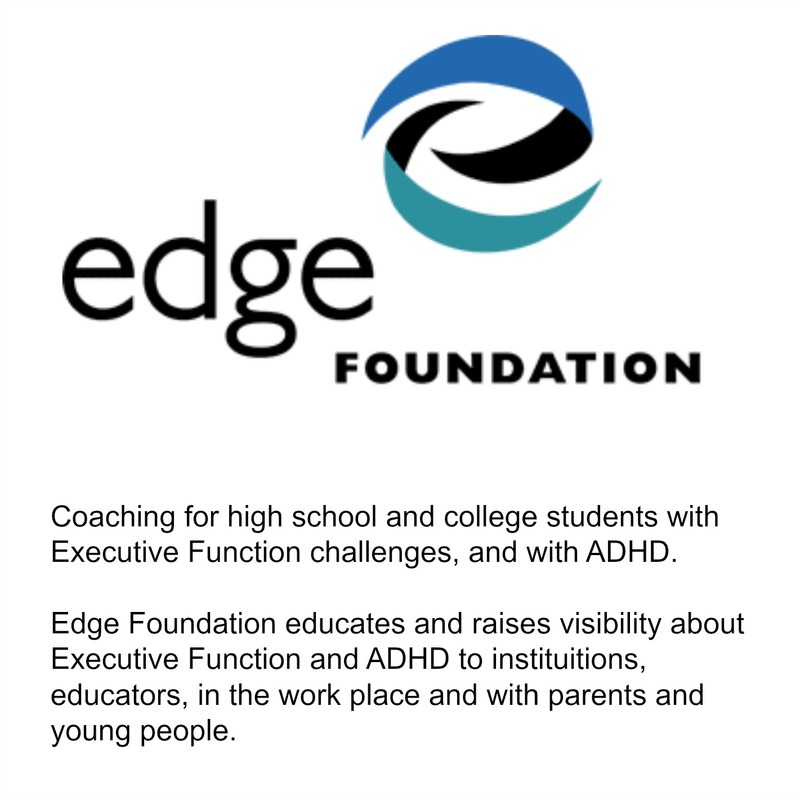 Call 206-632-9497 or email dvonpressentin@edgefoundation.org. “It was a Friday–I had just gotten home from school, the Seattle summer had started early, and I was exhausted. I was getting a popsicle out of the freezer and beginning to settle down when my phone rang. It was a number I didn’t recognize, but I had broken the rule of not giving my phone number out to students; so, student was my guess. I thought about ignoring it—Oh, come on! It’s Friday evening!—but I hit the green button anyway. A conversation ensued, at the end of which they agreed to go for milkshakes. She drove to the bridge and picked him up. Malcolm is still with us. As unique as Malcolm’s problem is, it is also typical. So many kids in our schools are problems, or cause problems, feel they have a problem, told they have a problem. What was Malcolm’s problem? Was it dyslexia or ADHD? Was he a victim of high stress in the home or the neighborhood? Was he being bullied? Was it “Executive Function Disorder?” Suggest your favorite dysfunction. Notice what bad habits we are in! It doesn’t really matter what “problem” he has or what his “learning difference” is, does it? Whatever the problem, he needs a partner who knows how to strengthen his executive function. Does he need better planning skills? Whatever. Whatever the matter is, he needs practice in owning his own brain, so he can own his own decisions, so he can own his own life. What saved Malcolm’s life was not Erin’s personality, but a person who was trained to do what few people in schools are in the habit of doing: talking to students as if they are decision makers, as if they want to make a difference, as if they are leading their own lives. Each of us needs another person who acts as if the only thing that matters right now is the choices I make, and knows how to help me figure out the good ones. Is any work in a school more important than this? How many “at risk” kids would be “at risk” if school were a place for learning to think? What would happen to our graduation rates if school focused everyone on maximizing internally motivated decision-making? Rick Ackerly is a nationally recognized educator, speaker and leadership coach with more than 40 years of experience in schools, 35 as head of school. He is the author of The Genius in Every Child: Encouraging Character, Curiosity and Creativity in Children. His blog is www.geniusinchildren.org.